Calendar featuring a different Vettriano image each month. 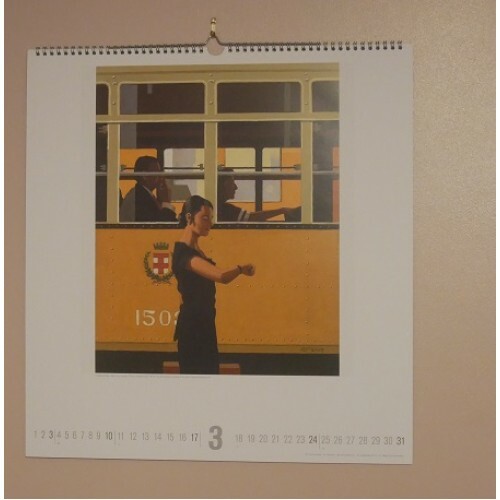 Flip open, each month reveals a different Vettriano image with the month calendar dates below. Ring bound with a metal hanger.